Mayor David Del Vecchio and challenger Julia Fahl sit down with hosts Steve Chernoski and Roberta Kyle to discuss why they should be the next Mayor. 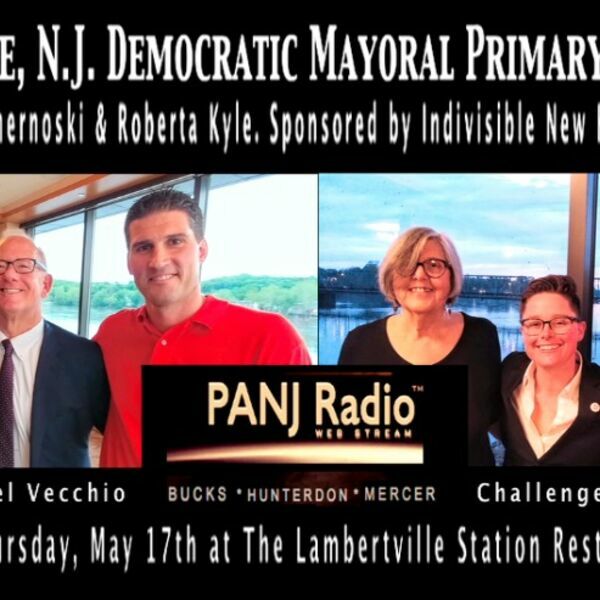 Sponsored by PA NJ Radio, Indivisible New Hope-Lambertville, and The Lambertville Station Restaurant. Recorded 5-17-18 at the Lambertville Station Riverside Ballroom. Disclaimer: Any opinions expressed by the hosts are strictly their own and do not represent PA NJ Radio.